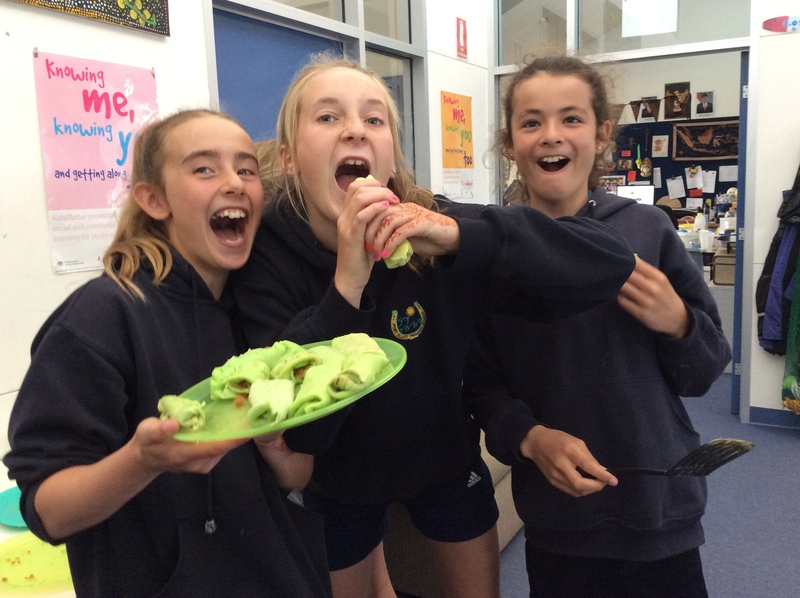 Tweaking a pre TPRS cooking unit – again…..
For the second year in a row, I finished with a cooking recipe instead of a story for the year 6/7 classes. This cooking unit is a tradition with my year 6/7 students and it is the only pre TCI/TPRS unit I haven’t binned! This is for several reasons: Firstly it is a food based theme which students constantly love and therefore hopefully is becomes a memorable final unit for my year 7’s before they head off to high school and secondly it ties in nicely with our annual end of year school pasar (market). As this is a unit I have done with my upper primary students for as long as I can remember, it has been tweaked significantly over the last 2 years as I continue to make it more TCI friendly. Last year was my first attempt which you can read about here. This year’s tweaking though was much more successful (in my opinion) which I can only put down to my ongoing reading and listening to all things TPRS/TCI. The biggest improvement came quite simply; tweaking the recipes that the unit is based upon. I always begin this unit by asking each class to brainstorm for recipes they would like to cook. Then the class votes on them all, knowing that the recipe will be cooked twice; once for students to eat and enjoy themselves and then again to sell at the pasar. 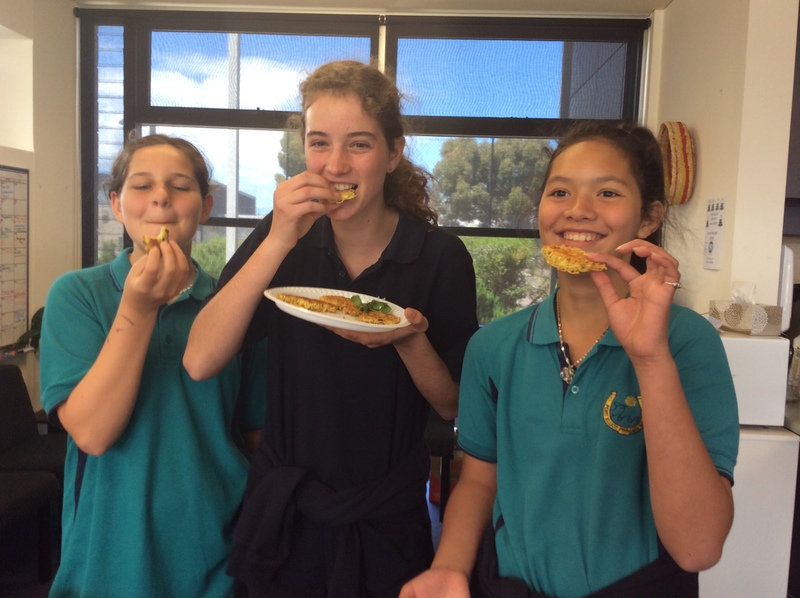 Students suggested dishes are usually based on food they have enjoyed at previous pasars’ or dishes they enjoyed eating that had been made by visiting Indonesians. This year the 3 6/7 classes chose 3 totally different recipes; mie goreng telur Ala Ibu Mia (yummy savoury noodle pancakes), dadar gulung and klepon. Once each class has decided on what they want to cook and sell at the pasar, I find a recipe for it because the unit of work for each class is then based on that recipe. This year when I dug out the recipes, I was horrified with the amount of unfamiliar vocabulary each recipe uses! This became my first job – to pare down the recipe to its most basic form and to incorporate as much acquired language where ever possible. Unfortunately with recipes, what cannot be altered, is the list of ingredients and one recipe had 10 ingredients, most of which were unfamiliar! Aduk kelapa, gula jawa, air dan garam. Goreng sampai air hilang. Taruh tepung, telur, pewarna, santan, garam, santan dan air. Aduk sampai halus. Panaskan wajan. Mengisi sedikit minyak. Tuang 2Tb adonan dadar. Goreng sampai dadar kering. Angkat. Ulangi sampai adonan dadar habis. Ambil satu dadar. Mengisi satu sendok makan intinya. Terus lipat dan gulung. Ulangi sampai dadar dan intinya habis. Campurkan air, garam, gula dan kelapa. Goreng dan aduk. Angkat. Campurkan tepung, gula, garam, telur, pandan dan susu di mangkok besar. Aduk. Kasih satu sendok besar campuran dadar dan goreng dua menit. Balik dadar dan goreng satu menit lagi. Taruh campuran kelapa/gula di dadar. Lipat dan gulung. Aduk kelapa parut, gula merah, air dan garam di wajan. Goreng, sampai tidak ada air. Angkat dan taruh di piring. Aduk tepung, telur, pewarna pandan, susu dan garam di piring. Panaskan wajan. Kasih sedikit minyak. Kasih 2Tb dadar. Goreng. Angkat dan taruh di piring. Ambil satu dadar. Kasih satu sendok inti. Lipat dan gulung. Taruh di piring. Lagi sampai tidak ada dadar atau inti. With the 2016 recipe adaptation, my focus structures became taruh (place/put), aduk (stir/mix), piring (plate) & wajan (frypan). Words like ‘inti’ are not high frequency, so I simply had the translation for that and other such words posted up on the baord to assist comprehension and reduce confusion. My second task was to introduce the list of ingredients. With dadar gulung, there are 10 ingredients! In order to get as many repetitions on each ingredient, I created power points, showed students the ingredients, let them taste, smell & handle the ingredients where appropriate (tasting coriander was not very successful but it sure helped them to remember it), Plickers & played the drawing/matching game I outlined in my 2015 post. I love using PowerPoint when introducing new target structures. I go crazy with the transition features whereby you can have a picture/word on the screen and then with a touch something is added or changed to the page in a quirky way. Most pages have 3 items which with a touch are layered onto each page. This included the English and Indonesian word for each ingredient and a picture to clarify meaning. The order that each came up on the page varied but generally the English word appeared last. The PowerPoint is then not only useful for introducing a list of new words but also for reviewing the list. To keep up the interest, pictures can be changed, slides rearranged and transition styles altered. Including pictures of past students is popular although can be distracting! Here is a link to the PowerPoint I used for dadar gulung. While the main target structures for all 3 class recipes was ‘aduk’ and ‘taruh’, ‘piring’ and ‘wajan’ were purely support/minor target structures, I was amazed to discover at the end of the unit how the acquisition of the former was sketchy and needed a few gesture prompts yet wajan and piring needed no such prompts. In fact students were using them in their English discussions while cooking! For the first time ever, on the day of cooking, I only handed out the Indonesian version of the recipes to groups. The only person who received an English version was the group support person if they had one. Groups that invite a support person (older family member/friend) are permitted to cook elsewhere in the school which I encourage as it reduces the power load in my classroom and hence the overload switch cutting off power! I was so impressed with the groups that remained in my room and their successful comprehension of the Indonesian recipe. Unlike last year, I was extremely pleased with how the cooking unit progressed this year, especially considering it is such a busy time of year. Reducing the unfamiliar vocabulary down to just aduk & taruh made such a difference. While aduk isn’t high frequency at all in the classroom context, ‘taruh’ certainly is and consequently I have already started incorporating into my lessons with the younger students. I’ve also thought about the idea of having a year 6/7 cooking text that younger students work towards in Indonesian class during their 7 years of primary school, so that many of the words like ‘taruh’, ‘lipat’, ‘gulung’ can be built upon in a more challenging text. Walking along with a bucket the other day, the song, There’s a hole in My Bucket came into my mind. As I was singing it, It dawned on me just how repetitious this song is. I immediately started playing with it to see if I could rewrite the song for Indonesian students. As our students learned the target structure ‘terlalu besar’ in term 1, this could be an extension idea for next year when I revisit this story! Saya lapar! Pak Agus, Pak Agus, Pak Agus. Saya lapar Pak Agus, Pak Agus. Saya lapar! Ayo makan, Bu Eliza, Bu Eliza, Bu Eliza. Ayo makan, Bu Eliza, Bu Eliza, makan! Makan apa? Pak Agus, Pak Agus, Pak Agus. Makan apa Pak Agus, Pak Agus, makan apa? Makan pizza, Bu Eliza, Bu Eliza, Bu Eliza, Makan pizza Bu Eliza, Bu Eliza makan pizza! Terlalu besar! Pak Agus, Pak Agus, Pak Agus. Terlalu besar Pak Agus, Pak Agus, terlalu besar! Makan spaghetti, Bu Eliza, Bu Eliza, Bu Eliza, Makan pizza Bu Eliza, Bu Eliza makan spaghetti! Terlalu panas! Pak Agus, Pak Agus, Pak Agus. Terlalu besar Pak Agus, Pak Agus, terlalu panas! Makan eskrim, Bu Eliza, Bu Eliza, Bu Eliza, Makan pizza Bu Eliza, Bu Eliza makan es krim! Terlalu dingin! Pak Agus, Pak Agus, Pak Agus. Terlalu besar Pak Agus, Pak Agus, terlalu dingin! Makan permen, Bu Eliza, Bu Eliza, Bu Eliza, Makan pizza Bu Eliza, Bu Eliza makan permen! Terlalu kecil! Pak Agus, Pak Agus, Pak Agus. Terlalu besar Pak Agus, Pak Agus, terlalu kecil! Makan nasi Bu Eliza, Bu Eliza, Bu Eliza, Makan pizza Bu Eliza, Bu Eliza makan nasi! Dan kecap manis!! Pak Agus, Pak Agus, Pak Agus! Dan kecap manis Pak Agus, Pak Agus kecap manis!! Ya enak!! Bu Eliza, Bu Eliza, Bu Eliza! Ya enak Bu Eliza, Bu Eliza Enak!! Terima kasih! Pak Agus, Pak Agus, Pak Agus. Terima kasih Pak Agus, Pak Agus Terima kasih!! Sama sama Bu Eliza, Bu Eliza, Bu Eliza, Sama sama Bu Eliza, Bu Eliza sama sama!! What do you think?? Do you have suggestions for another version? This post was originally uploaded last year as a page and in a reorganisation of my blog, I have decided to delete the page and reload this as a post. How about a unit on cooking incorporating iPads and interactive smart boards? How fantastic. Have just stumbled across a Spanish teachers blog which included a fantastic idea for doing just this. The unit starts with simple cooking recipe YouTube videos. So i guess, my first task is to track some Indonesian cooking youtube videos down and if none are there, then add that to my list of resources to collect while in Jakarta with Bu Valentina or Kalimantan with Bu Arfa. After watching one, The students then use an app on the iPad to complete a cloze. So much more motivating than doing it on paper. Although, how do i keep a digital copy of it? And how do i manage this with only 6 iPads? Maybe in groups, 1 student has the iPad and the others do the task on paper? The lesson then proceeds to use the smart board for students to make their own cooking tutorial video! Sounds amazing however i think we may have copyright issues about using google images. If so, then either i will have to photograph the ingredients and utensils myself or students will have to take their own photos beforehand! Can’t wait to investigate this use of the smart board! Look here to see the original post. 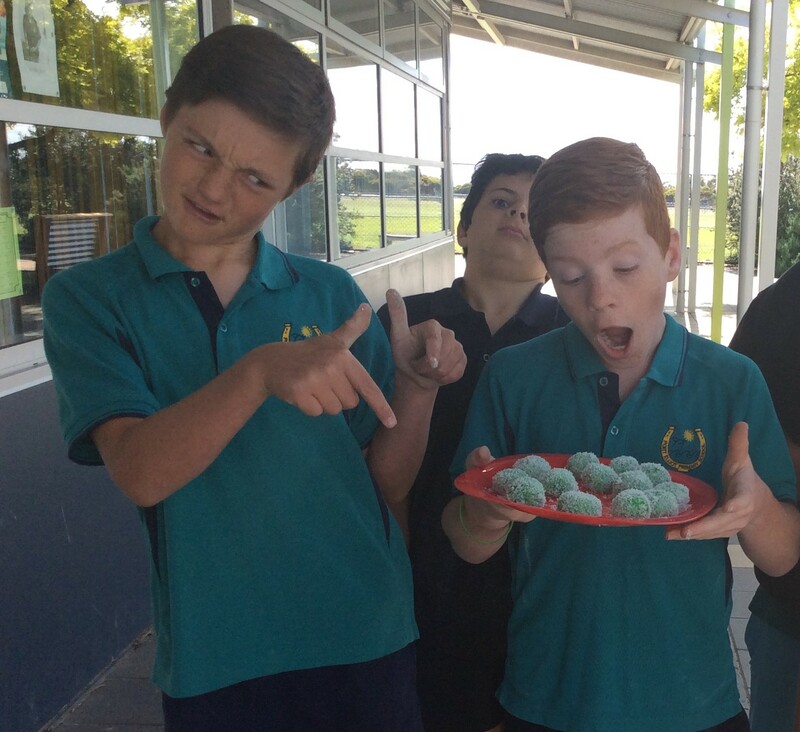 I aim the MasterChef unit at yr8s in second semester. Once the Year 12s finish Term 4, we can access the cooking room and so I aim to do one “practical” lesson per week and one “theory” lesson 🙂 When we enter the cooking room, we -only- speak Indonesian (so classes are quite quiet… heh) but I find that the change in environment has a huge impact on kids’ willingness to speak the TL and creates a pretty clear boundary. Practical, hands-on lessons are also easier to facilitate in the TL I find, and the iPads come in handy because we can “beam” the action from the back of the room to the front of the room using AppleTV and a projector. Tweet or email me your email addy and I can pass along some tasks if you like. It’s all a bit here and there, I keep promising myself to sit down and put it together properly, but that’s teaching for you! Submitted on 2013/09/30 at 3:01 pm | In reply to Penny. I am really interested in your master chef unit. What year level do you aim it at? I have just watched a current master chef episode and I can see how students would enjoy it as the formular is identical to what our students would be familiar with in Australia. PS have you seen my current travel blog (Jalan Jalan With Bu Cathy)? It is mainly for my students (primary) so they can see what I am doing on my travels. If there is a topic you are currently covering and you would like me to do some research, just let me know!